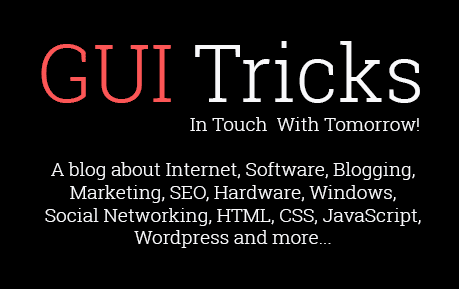 About Us About Us - GUI Tricks - In Touch With Tomorrow! We have huge connections with our readers via Social links. We have foundations on different Social Media sites where you can easily get in touch with us. You can get all our site updates, latest articles and can be connected on Facebook, Twitter, Google+, LinkedIn and Pinterest. We receive more than about 2000+ page views from the whole world especially from US, UK and India. Due to the highly quality contents, our Alexa rank is also increasing day by day. So stay connected with GUI Tricks and keep supporting. Your little support, will encourage us. If you're interested and want to be a part of us, so feel free get into our team. You can write Guest Post or write for us. There are some rules and restrictions, but don't panic about that. Visit our Contact Us page and email us feel free.